❝Little girl you have no idea what you're running into, ❞ he spat out menacingly, his spit landing on my face and I shrivel in disgust. ❝Never underestimate an Alpha, ❞  I growled back. 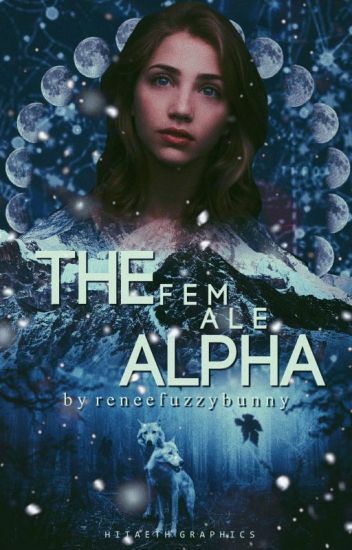 Armelle Addison Dakota Donovan is one heck of female who would stop at nothing to make sure her pack was safe, even if it meant to ignore your mate and use him to win a war. But, all is fair in the game of love and war and the bond will not be resisted. Meet Crystal Winter a 18 year old girl, Her parents were killed by rogues in-front of her eyes. Over the years Crystal has had a huge reputation and has became insane. She's called the Shadow Assassin, she killes rogues and anyone else who is evil. The only thing that keeps her sane is her mothers old jewel necklace. What happens when she meets Chase Collison the hard head Alpha?. Will she reject him or will she let him help her. The amazing book cover is made by sam-is-here-know, shes amazing! A story about a teen breaking the bond of love itself after her mate Cam rejected her. It would really help you understand this story if you read that story first to understand the twists that happened n Janella's story. While this story won't be going into any major adult themes there's a good possibility that there may just be a kiss or two. It is a love story after all. Alpha James had lost his mate before he even got a chance to meet her, now, sometime later he was starting to die. He needed to find another mate before his entire existence was nothing. After frantically searching for his second chance mate within a span of three months, he meets Opal Quinton, but she isn't all that he expected. ❝ Never, never in a million years, ❞ he whispered. I've spent all these years running. Running from my past, my mistakes, my family, my mate and my pack. I'm alone now. And it's all I know. But now, I've been forced back home, to my pack and my mate. But what will await me there? Love or more pain. Can I overcome the past and move on or will I crumble? Will I be able to finally stop running from everything I've left behind and face it head on. She's as strong as a male Alpha because of her bloodline. She doesn't shift much to fight instead she uses her sword. It's not just any sword this sword only works with something only she can give. She was told that no one would love a monster like her even her own soulmate. Maybe they are right she thought. Maybe everything she thought was right, but when things start changing she finds sometimes she can't even believe what to think anymore. A year and ten months after he left Sophie to go to Alpha training, Luka and  Liam  are running back to the Emerald stone Pack territory for there lifes being chased by two unknown wolves, for reasons undiscovered. Will the pack treat Luka any different when he gets home? Has life changed for the better, or for the worst? What will happen when Ace Summers tries once again to tear them apart, but for good this time? And why are  Luka and Liam being chased in the first place? "People in the world like to take big leaps to achieve, others like to take baby steps." Athena never thought she'd find refuge in the arms of a boy who takes care of her and her son as if they were family. But, with mixed emotions and feelings only they knew that taking baby steps was the easiest path to finding love.